Today, Larry Summers became the latest prominent name to endorse Lending Club — the fast-growing peer-to-peer lending company that aims to connect creditworthy borrowers with smart investors — as the former U.S. Treasury Secretary joined the company’s growing, star-studded board of directors. The economist, who also served as the 27th president of Harvard University and as the Director of the National Economic Council under President Obama, joins names like John Mack, the ex-chairman and CEO of Morgan Stanley, and Kleiner Perkins Partner Mary Meeker, who joined the board in June. Lending Club CEO Renaud Laplanche, Jeff Crowe of Norwest Venture Partners, Daniel Ciporin of Canaan Partners and Rebecca Lynn of Morgenthaler Ventures round out the remaining seats. Summers, for one, seems to be taking a more active role in the tech industry these days, joining Andreessen Horowitz as a “Special Advisor” last year, and sits on the board of directors at payments darling, Square, and has taken on an advisor role at the ambitious new university disruptor, The Minerva Project. But the appointment is also about more than that, and it helps to put the board Lending Club has built over the last few years in context. When peer-to-peer lending began to establish itself about five years ago, there was a lot of excitement. By taking banks out of the equation altogether to connect investors directly with those in need of a loan, p2p lending almost immediately had tons of appeal (for both consumers and investors). However, thanks to heavy (albeit necessary) scrutiny from the SEC, the industry and its players were slow to gain traction. Lending Club and Prosper, two of the early movers in the space, survived those investigations and have been quietly growing ever since. Today, no longer seen as a dangerous place to invest, the industry is gaining mainstream support. In fact, as Peter Renton recently discussed at length, with 100 percent y/y growth, p2p lending is one of the fastest growing new types of investment. Capitalizing on the emergence of this new asset class, and the ecosystem sprouting up around it, Lending Club, in particular began to hit real, hockey stick-style growth this year. Naturally, this hasn’t gone unnoticed. Enter Larry. To be fair, board appointments usually don’t warrant much attention (nor should they). It’s usually just an opportunity to flex the publicity muscle and share some fluffy vanity stats. However, in this case, there are some very good reasons to believe that Lending Club has reached an inflection point. The evidence? In February of this year, Lending Club had facilitated a total of $500 million in loans. It took the company 4.5 years to get there. By early November, the startup announced that it had breezed by $1 billion in facilitated loans. In other words, it doubled 4.5 years of growth in 9 months. Furthermore, in June of this year, Lending Club raised $17.5 million from Kleiner Perkins, bringing its total outside investment to just under $100 million. With Lending Club’s growth reflecting a growing macro interest in p2p lending, institutional investors are starting to buy in: The director of Thomson Reuters recently decided to double down on his investment in Lending Club’s consumer credit fund. Thanks to growing interest in p2p lending from institutional investors, its own financial cushion and the increasing revenue resulting from more loan originations and servicing, the company announced in November that it had become cash-flow positive for the first time. In turn, this has enabled Lending Club to add more than 50 employees this year, including the hire of former Visa head of global development and Morgan Stanley CTO John McIlwaine and E-Trade general counsel Russel Elmer. There are also some macro trends at play that are helping the startup’s cause. In a down economy, investors are looking for more stability, while maintaining solid returns. Peer-to-peer lending has the potential to offer investors more transparency, less duration and credit risk than traditional options, like high-yield bonds. In Lending Club’s case, the startup has grown its pool of investors to 45,000, who see an average return of between 5.7 and 13 percent. Compared to traditional investments in high-yield bonds or the S&P, p2p offers the potential for much steadier and more regular returns — what every investor wants to see. 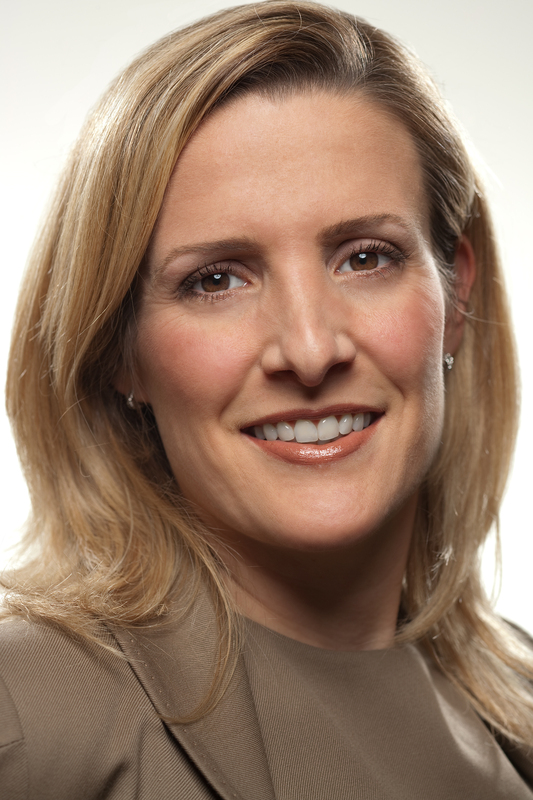 According to Lending Club board member and Morgenthaler Ventures Partner Rebecca Lynn, private investment managers, hedge funds and money managers have begun to create funds that are specifically dedicated to investing in p2p lending platforms. This is part of what has led to Lending Club’s accelerated growth of late, and as the asset class itself gains more interest from institutional investors, that is likely to continue, she said. Naturally, there’s plenty of disruption inherent to this model, much of which isn’t favorable to banks, as p2p platforms are beginning to disintermediate banks, pushing them out of consumer lending. That’s where having someone like Summers on board is critical at this point. The former Treasury Secretary now only sits on the board of two startups. The other is Square, which he joined to help pilot the company through the pressure and opportunity inherent to hockey-stick-style growth. Both Square and Lending Club sit at the intersection between old models and emerging ones and both have to balance the two if they hope to continue playing with hockey sticks. What’s more, given its current trajectory, it makes a lot of sense that Lending Club is beginning to gear up for a potential IPO, which could reportedly happen in the next 18 months or so. And having the former Treasury Secretary on board to help you find the offramp to the public markets? Probably not “priceless,” but it certainly doesn’t hurt. There’s a lot of risk still endemic to p2p lending and it’s important to keep in mind that both Lending Club and Prosper deal in unsecured loans. And this doesn’t even begin to touch on the issue of regulation, which can have an enormous impact on the topography of the space. Nevertheless, p2p lending has become a hot international topic as well, as evidenced by recent moves being made by the British government — the tipping point has been reached at home and abroad. 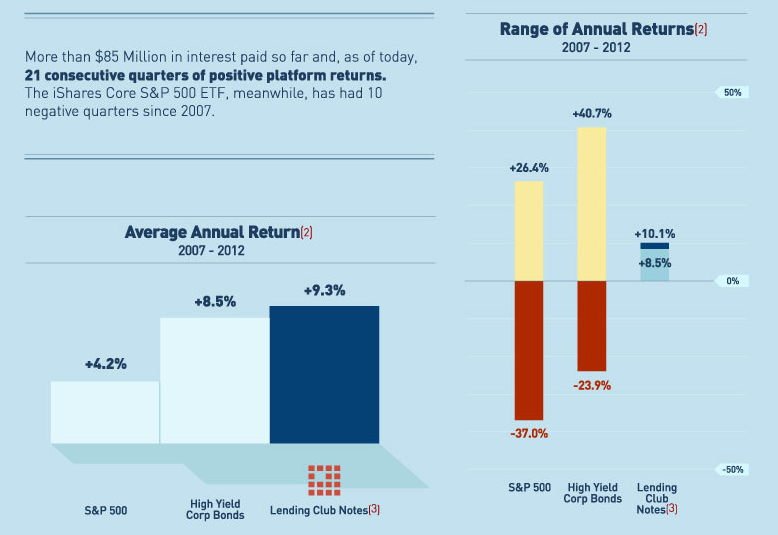 Why did you invest in Lending Club? I’ve had a thesis around the disintermediation of traditional banking for a long time — it was a key belief even at NextCard, where I worked before Morgenthaler. Traditional banks are extremely inefficient. Think about it: You deposit money and get less than a point, and if you are a credit worthy borrower, you’ll often pay over 16% interest rates on a loan. That is a lot of spread. Operating costs for even very efficient companies, like CapitalOne, are around 7%. These can be brought down with a more efficient model like Lending Club, with efficiencies that can be passed back in the form of lower rates for borrowers and higher returns for investors. The timing was also right. In Q1 of 2009, the credit markets were broken, and Lending Club had a big opportunity to come in and fill a need. I thought it would be a number of years until the markets were back, and that would provide Lending Club the time to secure a good foothold. That said, we were very cautious about the investment. We hired an expert to examine the portfolio in detail. Everything checked out, and we jumped in. How can Lending Club avoid being out-executed by newcomers? There are really three barriers to new entrants in this market. First, there are significant startup costs due to the regulatory requirements. Second, a new entrant must build up a track record in order to gain investor confidence. Lending Club has 5 years of history and $1 Billion in loans. Finally, a lot of data must be accumulated over time to get the credit model right. This is not a business that you can startup overnight. How can Lending Club maintain its current growth trajectory? Lending Club went after the biggest credit market first, that of credit cards. Of the $2.5 Trillion in U.S. consumer debt, roughly $850 Billion is credit card debt*. Lending Club’s biggest borrower segment is that of prime borrowers consolidating their variable interest rate credit cards into a fixed rate product to pay off their debt. There are a lot of other verticals Lending Club could expand into, but for now, it is staying focused on this very big market. As an investor, what excites you about financial services — an industry that has traditionally been seen as rigid, slow moving and not-so-exciting? In every investment cycle, billion dollar companies are created in financial services. Some examples: BillMeLater, GreenDot, PayPal, NextCard, ETrade, Scottrade, Intuit, Checkfree, and Financial Engines. lending space, companies like Lending Club, Prosper, and SoFi are focused on lending to prime consumers and generating returns for people who invest on the platform. There are also a number of companies focused on using new types of data, and not just FICO, to underwrite consumers and small businesses in a better way. In the consumer space, startups include ZestCash and Lendup who target subprime consumers. On the business side, you have On Deck Capital and Kabbage. focused on the reinvention of the point of sale. The reinvention of banking is happening with companies including Bank Simple, Moveinbank and Perkstreet. The mobile wallet is a hot space with not only Apple, Google, and PayPal, but companies like Pageonce, one of our portfolio companies, and Levelup. Braintree, Dwolla and Stripe are helping developers and online businesses take on mobile payments as well. here, but you get the idea that financial services is an incredibly active space right now.